The Internet has become one of the toughest marketing battlefields of this age. According to statistics given by the ITU (International Communication Union), by the end of 2013, approximately 39% of the whole world population was using the Internet on a daily basis. The number has been exponentially incrementing over the past decade with the rise of new communication technologies that allow people to access the net from various mobile devices such as smartphones, tablets, laptops, etc. Because of the informational freedom that people have on the web, many SMBs, as well as macro-economic corporations have tried to manipulate it to their advantage, causing high-level spam which constantly clogs web channels trying to get their message to as many people. Various search engines, such as Google, Yahoo and Bing have focused on their anti web-spam campaigns over the past decade, trying to filter the channels and bring up the most relevant results to the users. According to the Nielsen report from 2013 on social media coverage, an average smartphone user spends 9 hours and 6 minutes a month on social networks. Smartphones and tablets that allow quick Internet access have enabled people to continuously access all the relevant information they need. According to the statistics provided by Super Monitoring, 56% of all the people in the world own a smartphone and almost 90% of those same people use them as their primary Internet source. According to the same statistics, 68% of shopping research is done using smartphones – almost 80% of those people are searching for product reviews by relevant people while they are in the store, deciding what to purchase. And why are you doing this on Facebook instead of subscribing to their newsletter on their webpage? Simply because it is all there in your newsfeed. Not only is it there, but there are also people, real people, customers, experts, mothers, teenagers, seniors – all of them talking about a brand. They have the power to glorify it as well as to push you to the bottom of the search result pages. How do you become a relevant factor? How do you make people listen to you? You cannot simply appear on the web out of nowhere and become a guru – it doesn’t work that way. In order to become a person of authority, you need to provide relevant and informational material to the people who came looking for it. It is not as easy to offer a trip to Hawaii for two people who have liked your page on Facebook or followed you on Twitter just to boost traffic to your website. No, this whole idea of building up your online presence and authority by buying it from your followers is a total waste of time. The whole point of social networking is in creating and preserving a two-way communication with people. As long as you keep your followers engaging, you will be on the right track towards success. SearchMetrics has made a graph based on their rank correlation study from 2013, where you can see how social signals coming from Google+, Facebook and Twitter (+1s, shares, re-shares, likes, tweets and re-tweets) actually make an impact on your future ranking in search result pages. So, your engagements in social media, as well as the relevancy of the people that follow you, your work and your brand are the key steps towards building a strong authority in your niche. We all know the sacred rule of marketing: “There is no such thing as bad publicity”. The same goes here. For example, hit YouTube and play a music video of your favorite band that has generated at least 10.000 views. I am certain that you will find at least one comment that mentions how Justin Bieber is null compared to it. And yet, his official webpage stands at the top of search results, but guess what, it is followed by his official pages on social networks – see for yourself by clicking here. If you think Google Plus is just another social site, you are in for a big surprise. What has been created is, put simply, a phenomenal tool for human communication, and much more. But it takes you to experience it, embrace it and ‘get it’ before this realization really comes. Google+ is one of the fastest growing social networks in the world. Ever since its launch in 2011, the number of its monthly active users has been exponentially increasing and now counts over 540 million people. So, to put it simply, Google+ is Google! Google is the largest search engine in the world right now with over 100 billion searches per month. It is spread on five out of seven continents so, basically, there is no chance to avoid it. It has become so popular and powerful that it even became a synonym for search. Just how many times have you heard the expression “Google it”, whenever you ask for some information? It was imagined as a search engine which will define and present relevant information and closely related content to the users. Google Authorship is the way Google acknowledges you as a relevant author and a representative in your niche. Have you noticed that some results in your Google search have pictures of people on their left? These are called rich snippets. According to the eye-tracking study conducted by LookTracker, people’s attention is more drawn to rich snippets and they are more likely to click on a result enveloped in it than to click on a regular one. 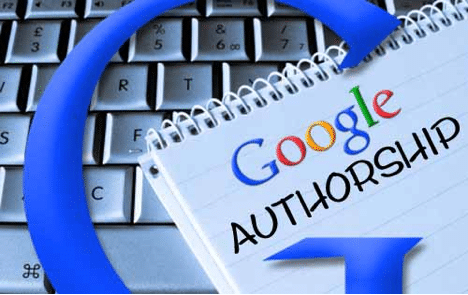 How to Gain Google Authorship? Let’s start with the baby steps. Choose a cover photo and a profile picture for your account. Note: It is highly recommended that you use a clear headshot for your profile picture. Try finding people you share the same interest with and add them into your circles. Engage in discussions with them, share ideas, hangout – to put it simply, connect. If you have anything to share with the world then do so. Create quality content on the topic of interest and share it with the influential people from your industry or niche. Try to find relevant websites and blogs where you can post your work and share it on Google+. There, you will engage influential people from your niche – in comments, shares, hangouts, etc. There has been a common mistake that people have been making over the past few years – they prefer quantity over quality. If you are aiming for Google Authorship, you need to present relevant, quality material to the readers looking for it. Meaning, if you are writing a guest post on safety in the construction industry, you cannot post on a blog whose categories are focused on the online marketing niche (that’s an easier niche to find low quality but high quantity guest bloggers) just for a link back. First of all, the readers of that blog won’t be interested in it. Second, the blog administrators would be crazy if they let you post your work if it isn’t related to their category. And third, web crawlers that pass through that same blog can “see” that the subject doesn’t belong there, thus penalizing both. The year 2013 was marked as the year of semantic search. With the launch of the “Hummingbird” update, many high ranked websites were hit and their ranks were significantly cut down. Hummingbird is a semantic search algorithm that can basically “read through” your question and present relevant results based on it. 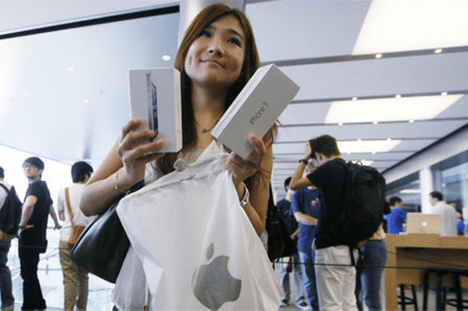 For example, if you would to type in “Apple Store?” in Google search, crawlers would run through your email and Google+, define your location based on that, compare the time of search and the work hours of Apple Stores and present you with the nearest working Apple Store. Why is this new? Because, earlier, if you would type in the same, it would show you the best optimized website with the highest number of quality backlinks, in this case a store that would be located twelve time zones away from you – and that is completely irrelevant to you as a user. You have a company that is selling products and/or services online. You have run into some tough competition on the keyword you are trying to rank for in search engines. Let’s take for example email marketing. You are trying to sell email list for solicited newsletters to growing companies that want to rank higher in search engines and broaden their targeted audience. There is a high demand on the web for that service and optimized PPC ads for that keyword can range from $10-$30 dollars per click. PPC ads are a great way to come at the top of the search engines but not only do they require a lot of investment, but you also need to run thorough optimization and constant analysis of your landing page. There are only three reserved results at the top of the SERPs for PPC ads, so it is hard to get ahead of the competition unless you are willing to pay large sums of money. Did you know that organic results in SERPS have a much higher CTR (Click-Through Rate) than PPC ads? To be precise, organic results make 94% of the total CTR while PPC ads make only 6%. And, we have already discussed about the CTR of organic search based on the eye-tracking study. What does this imply? In order to get the highest traffic to your website and increase the number of your potential customers, you need to find a place for yourself in the search result pages with a rich snippet. What does this imply? You need to provide people with informative and educational material about your product and/or service and lead them from your posts to the shop page on your website. Marketing is all about creating trust, a two-way communication with your targeted audience. You need to reach as many people as you can, interest them in your work and connect with them. Social media is your most powerful asset in achieving this and we already elaborated enough on how Google+ is Google itself. This is the first social platform you should focus on. However, keep in mind that other social platforms such as Facebook, Twitter, Pinterest and Instagram also have their doors open to an even greater number of potential customers.